Gymnastics PEI celebrated its top gymnasts recently at the annual ADL Achievement Awards held in Summerside at La Centre Belle Alliance. Team of the Year was awarded to the Level 3 under 13 boys team who won gold at the Atlantic Gymnastics Championships held in April. The team includes: Jacob Carver, Nicholas Handrahan, Jesse Robertson, Murphy MacArthur, and Tanner Clow. Team coaches were Jeff MacRae and CJ Keliher. Handrahan was also awarded Provincial Stream Male Athlete of the Year. He had many competition highlights throughout the season including finishing first All-Around at the Harvest Classic in November, first All-Around at Provincials, and second All-Around at Atlantics. Coach of the Year was awarded to the team’s coach CJ Keliher who is currently completing Level 4 of the National Coaching Certification Program for gymnastics. 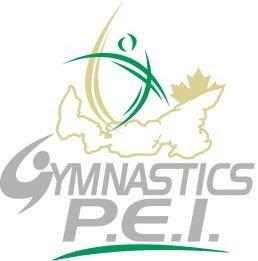 Keliher is also the province’s only gymnastics Learning Facilitator which allows his to instruct coaching clinics. The Official of the Year was Jeff MacRae. A repeat winner in this category, MacRae was selected to judge at next year’s Canada Winter Games and as an alternate to the Senior Pan American Championships held in early September. On the women’s side, Megan Doucette was awarded Junior Female Athlete of the Year following a strong season which included first All-Around wins at the Harvest Classic, the PE Classic, and Provincials. She also won silver All-Around at Atlantics and finished 4th All-Around at the Gymnix competition in Montreal, an international event. She also brought home a bronze medal in the floor final from Gymnix. Sophie Mayne was named the Provincial Stream Female Athlete of the Year. She landed first at the Harvest Classic, Halifax Alta competition, Amherst Invitational, and Provincials. She earned silver All-Around at Atlantics. Other winners were: Junior Male Athlete of the Year, Alex Mann; Senior Male Athlete of the Year Scott Chandler; Administrator of the Year, Sharon Gareau. Gymnastics PEI also presented awards to club coaches Grant Dever (Island Gymnastics Academy) and Crystal Hunter (Summerside Saultos) and to club volunteer Katherine Clow (Summerside Saultos).